When you gaze into the sky, what do you see? If you happen to live in China, the answer might be surveillance drones disguised as birds, according to a new report from the South China Morning Post. The new report alleges that Chinese military and government agencies have been using undercover drones to spy on segments of the population, especially in an area of Western China that borders Russia, Mongolia, and Pakistan, among other countries. The drones, which are part of a program that is apparently called “Dove,” are disguised to look like everyday birds. 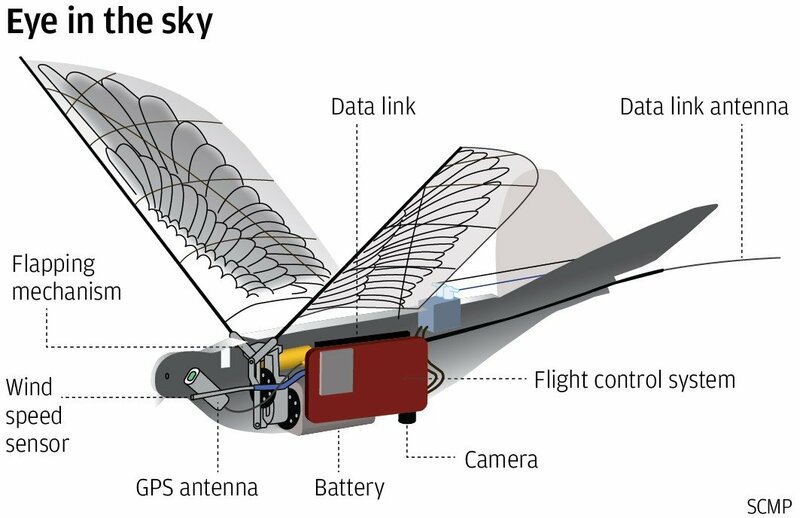 The robotic avians have flapping wings attached to a central body unit that includes a GPS module, speed sensor, downward-facing camera, and an antenna that allows its handlers to control its movements. The report, which cites multiple trusted sources, says that the program went through a number of refinements before being deployed, with thousands of test flights. The bird bots are apparently extremely lifelike and nearly impossible to differentiate from an actual bird when looking from the ground. The drones are even equipped with an advanced flight control system that smooths out what might be perceived as awkward, unnatural movements, allowing the bots to appear as lifelike as possible while providing a smooth video feed. The area of Western China that has seen the most widespread use of the drones is a hotbed of separatist sentiment. The report notes that the area has been heavily monitored by Chinese officials for a while now, and these robotic birds are simply another tool in the government’s arsenal. It’s all a bit spooky, especially when you consider that it such a program would probably work just as well in America, Europe, and pretty much anywhere else. A robotic bird that can mimic 90% of the movements of the real thing would be hard to spot for the vast majority of people, especially if nobody is actually looking at them.